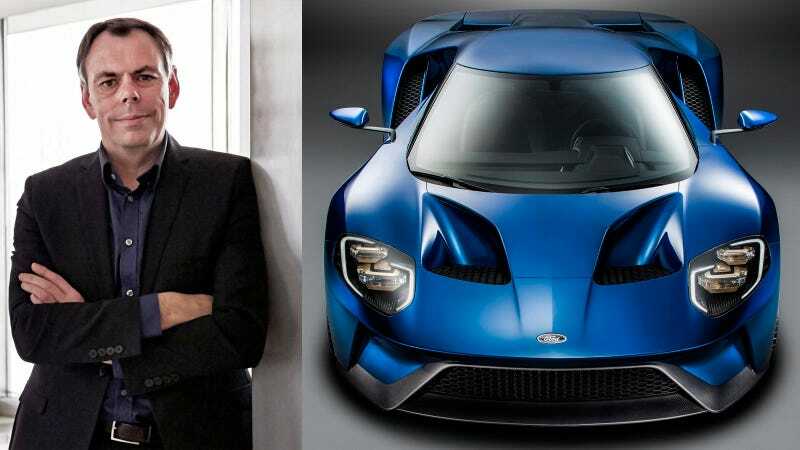 Chris Svensson, Ford’s global design director and a member of the team behind the stunning new Ford GT, lost his battle with cancer this past weekend at the age of 53. Svensson held a Master of Arts degree from the Royal College of Art in London. He joined Ford Germany in 1992 as an exterior designer, and his career at the automaker would span 26 years and the entire globe. His roles included design director of Ford Asia Pacific and Africa, design director for the Americas and then global design director. He was also part of the team which developed the most recent Ford GT, the automaker said. It was a development that was so top-secret that even some Ford executives didn’t even see it until its unveiling. Just a small number of employees had keys — actual metal keys were used, rather than Ford’s standard-issue electronic ID cards — and much of the work happened at night. When the team of six designers, who couldn’t tell family and friends what they were doing, needed to see their creation in natural light or from more than a few feet away, they surreptitiously hauled it outside on weekends when no one else was around. Indeed, as Wired noted last year, the GT’s design reviews started at seven in the evening and finished at 11 to ensure that the secret wouldn’t get out. We are sad to learn of the passing of Ford Design Director Chris Svensson. Chris was a talented designer, an inspiring leader and a friend to many people. He made countless contributions to Ford during his 26-year career and he will be greatly missed. Our thoughts and prayers go out to his family. Svensson is survived by his wife and two daughters.